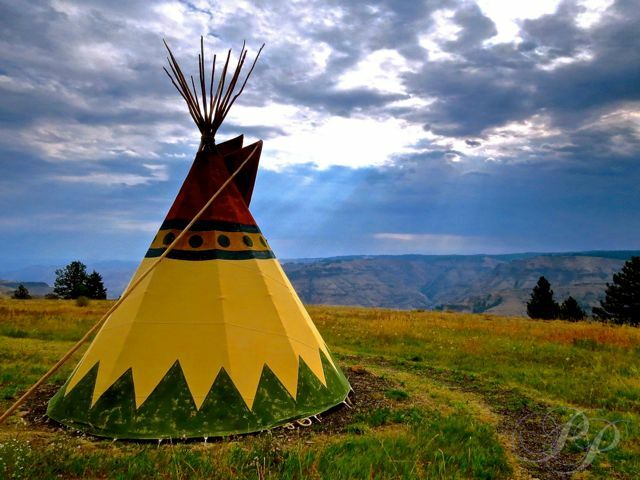 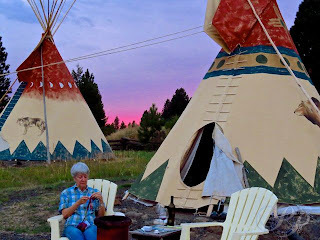 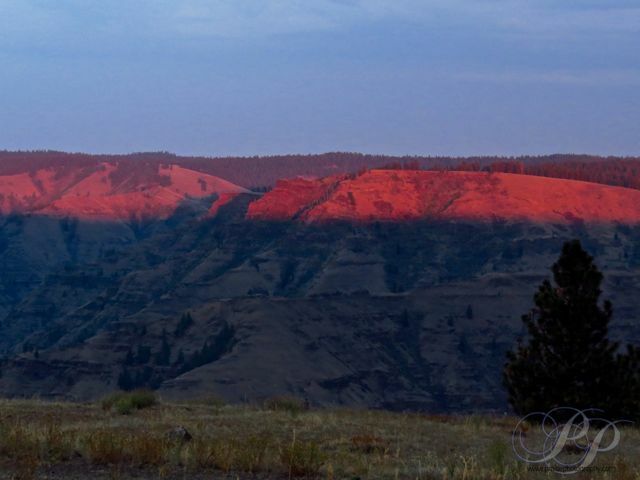 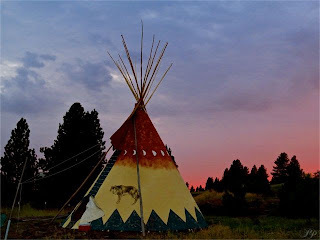 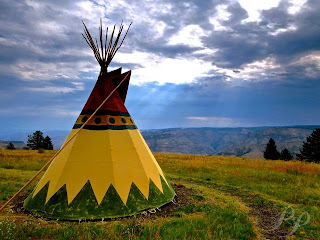 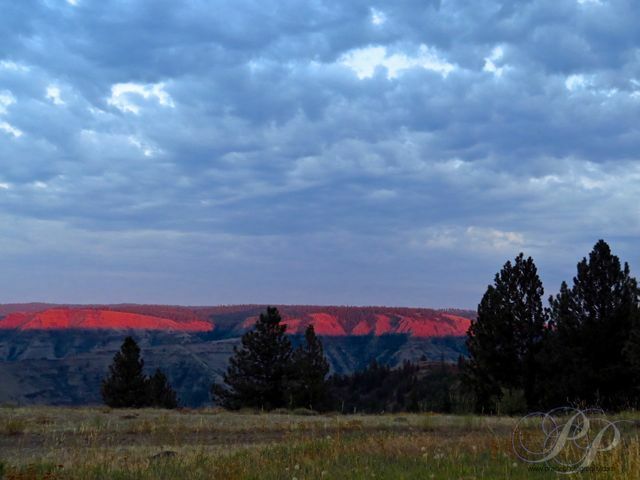 Meg and I enjoyed our 46th wedding anniversary by spending the night in a hand painted teepee above Joseph Canyon, twenty five miles north of Enterprise in Wallowa County. 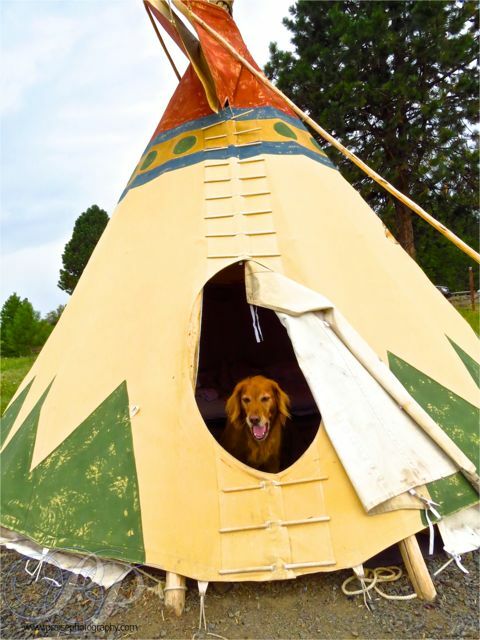 It was furnished with a queen sized futon covered by Pendleton Woolen Mills bedding. The views of Joseph Canyon were serene and uplifting, an ideal place to sit, read, drink wine, and simply enjoy. The teepees are one of the lodging options at the Rimrock Inn, a most excellent bed and breakfast, with an excellent dinner menu.